Côrdydd is a mixed choir of 50 voices based in Cardiff, Wales, who perform a dynamic and interesting programme of classical and contemporary works. They are amongst the top mixed voice choirs in Wales. A choir of young voices performing an inspiring selection of classical and modern music. Rehearsals are normally held on a Thursday evening in Salem Chapel, Canton, Cardiff and there is always a warm welcome for new members whether Welsh speakers or learners. 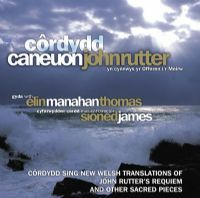 Côrdydd sing John Rutter's Requiem and other sacred pieces. Côrdydd was formed by a group of friends in 2000 and they have enjoyed immense success since the birth of the choir. They have travelled to Hong Kong and Barbados and in 2004 they toured the Messiah with the Welsh Baroque Choir. In 2003 Côrdydd won their very firsr accolade, and were crowned BBC Radio Cymru Choir of the Year. In 2005 they performed Verdi’s Requim with the BBC Orchestra and Brahms’ Requiem with eth Swansea Bach Choir. They have recorded session for Radio 2’s Sunday Half Hour and have appeared often on television and radio. 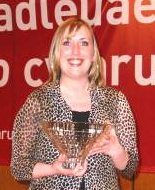 Côrdydd won the hatrick in the National Esiteddfod in 2006, having won the same competition in the Mixed Choir category in 2004 and 2005. But they took a well-earned rest from the competition last year in preparation for the recording of their first CD – John Rutter’s requiem and Other Songs in Welsh for the very first time, with the bright young Soprano, Elin Manahan Thomas. Côrdydd won their category in the National Eisteddfod 2008, on their home patch, Cardiff – the highlight of the week, and indeed, on a very fruitful year, was being chosen as Choir of the Festival in that same Eisteddfod. Côrdydd won their category again in the 2009 National Eisteddfod. Sioned hails from Llandysul originally but has lived in Cardiff since graduating from Cardiff University in 1997. Sioned has had an active interest in choral music from a very early age, having sung with numerous choirs – National Youth Choir of Wales, Cantorion Teifi, Swansea Bach Choir, Ysgol Gerdd Ceredigion and many small vocal groups. Sioned was fortunate to have been a pupil of the conductors John Hugh Thomas and Islwyn Evans, who gave her the opportunity from the age of 16, to conduct choirs such as Ysgol Gerdd Ceredigion, and this certainly spurred on her interest in conducting. She is busy throughout the year conducting different events. In 1999, Sioned was given the opportunity to collaborate with the composer Charlie Skarbek on the Rugby World Cup CD, and as well as writing the foreword for the CD on the history of Welsh Choral Music, Sioned also composed the words to Bryn Terfel and Shirley Bassey’s “World in Union”. After years with BBC Wales and HTV Wales, Sioned now works as an agent for actors and presenters with Cinel Gabran Management and also lectures part-time on the Theatre, Media and Music course at Trinity College. Sioned is the choral co-ordinator for a ten-part drama series on S4C, based on a fictional choir, called “Con Passionate”. She also works freelance as a musical co-ordinator with various independent TV companies. In 2004, Sioned was seen every Saturday night on a BBC1 network programme, as a vocal-coach on the prime-time “Can’t Sing Singers”, coaching twelve chosen non-singers on a musical documented journey. She was recently seen teaching the National Anthem to five non-Welsh-speaking celebrities on the BBC1 Wales programme “The Big Welsh Challenge”. Sioned formed her own choir, Cordydd, in 2000 and have proved successful, winning numerous competitions since their formation. The press praised the work of the choir in the performance of Verdi's Requiem at St David's Hall Cardiff on 8 June. One of the main attributes of the performance was the was the fresh and bright sound of the choir, thanks to the young group Cordydd joining forces with the BBC National Chorus of Wales. "The 40-strong young Côrdydd sang the great choruses so crisply and with such inner strength and purpose that one almost forgot that its sound hovers nicely between youth and adult." Côrdydd was formed by a group of young friends in Cardiff in the year 2000 and they have enjoyed immense success since their formation at the brink of the Millennium. Their aim initially was to form a sociable choir, but it soon became apparent that it was feasible to maintain a high level of both socialising and good musical standards! In 2004, Côrdydd were the winners of the Mixed Choir under 45 voices in the National Eisteddfod, Newport, and also toured the Messiah with the Welsh Baroque Orchestra earlier in the same year. They were also the winners in the BBC Radio Choir of the Year in 2003 and also toured to the Celtic Festival in Barbados and to Hong Kong. Côrdydd have appeared on BBC 1 and S4C on many occasions, showing their ability to perform a variety of musical styles-from classical to modern, gospels to traditional. They have performed in the Millennium Stadium as the pre-match entertainment before the Wales v New Zealand match, and they have a full calendar for the coming year, performing across Wales and beyond. 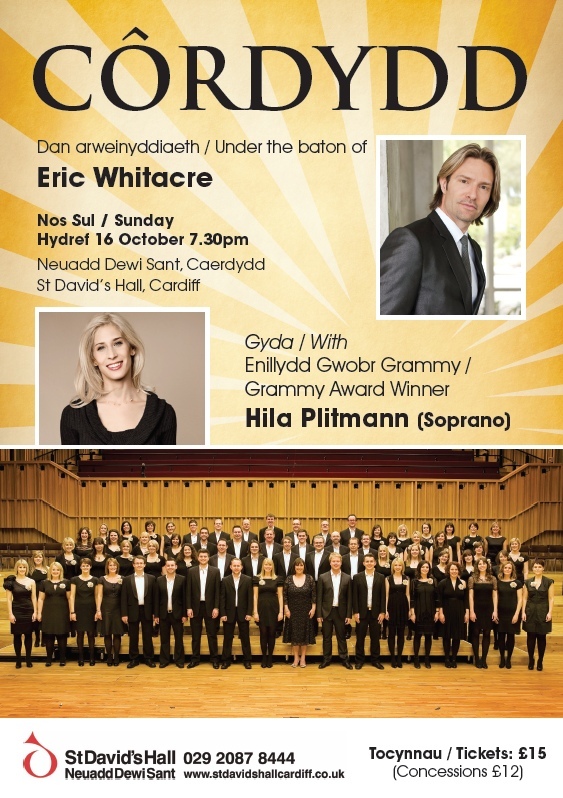 Côrdydd performed Verdi's Requiem with the BBC National Orchestra in June at St David's Hall and Brangwyn Hall, and they also won the Mixed Choir under 45 voices in the National Eisteddfod of Wales, Eryri 2005 for the second year running. Côrdydd was formed in the year 2000 by a crew of young people in Cardiff who enjoy singing and performing the best of Welsh and international music. At their first appearance at the National Eisteddfod in Denbigh they came second in the highly acclaimed choral competition, they appeared on S4C in an innovative opera called `Crwtyn Bach Y Simne', appeared alongside Lesley Garrett and Russell Watson in an FA Cup concert and also performed in St David's Hall. In 2003 the Choir won the BBC Radio Wales Choir of the Year Competition, just before embarking on their first tour together to the Celtic Festival in Barbados. In 2004 they performed Handel's Messiah with the Baroque Orchestra of Wales and performed in a series of concerts. At the National Eisteddfod in Newport 2004 the choir won the Mixed Choral Competition - the climax to a very busy year and recognition for the high musical standard of the choir. Cordydd performed Verdi's Requiem with the BBC National Orchestra in June 2005 at St David's Hall and Brangwyn Hall, and they also won the Mixed Choir under 45 voices in the National Eisteddfod of Wales, Eryri 2005 for the second year running. 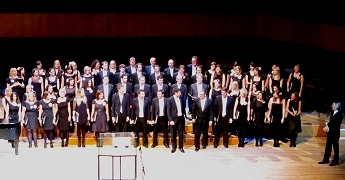 In 2006 they won the Mixed Choir under 45 voices in the National Eisteddfod of Wales, Swansea for the third year running. In 2008 and 2009 they again won the Mixed Choir under 45 voices in the National Eisteddfod of Wales.